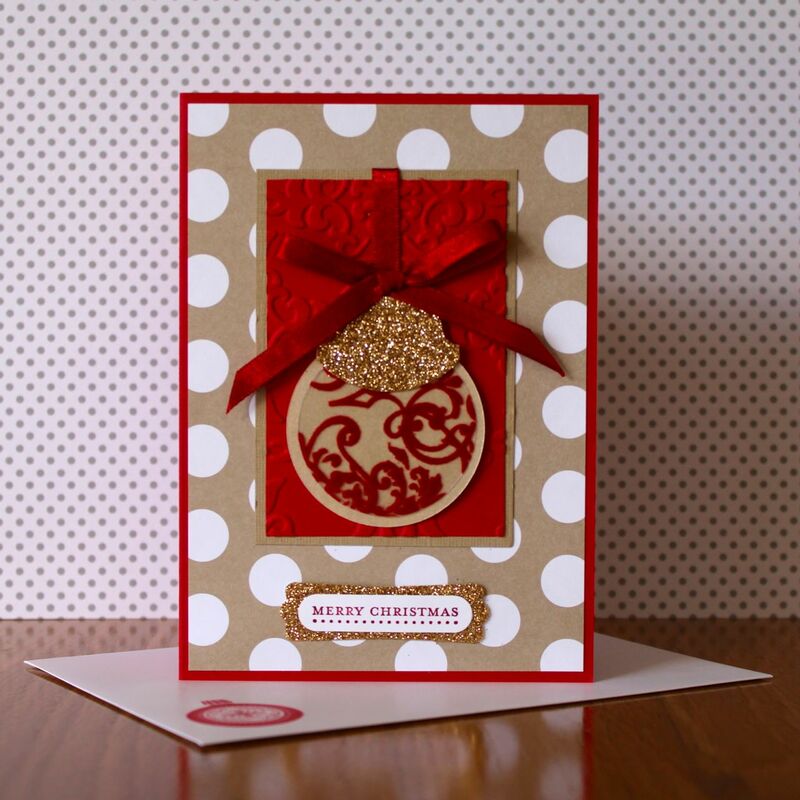 Today’s Christmas Design features a Gold and Red flock bauble, cut using two differently sized circle framelits, with the bauble top punched from the retired tab punch and Champagne Shimmer paper. I love this spotted DSP from the Seasons of Style DSP 12 x 12 pack – and teamed with Real Red, it really pops! 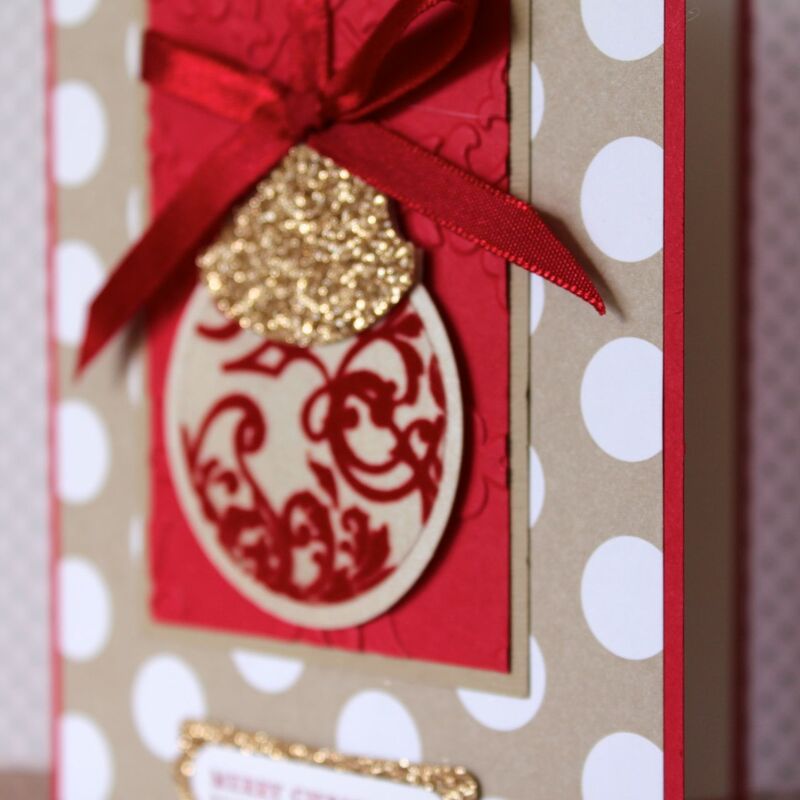 This is quite a simple layout, but the use of luxurious papers like flock and shimmer give it a really special feel. I was thrilled with how this design came together. And you just can’t go past the Merry Christmas Stamp from Teeny Tiny Sentiments.